Sometimes, an idea hits you and just won’t let go. Earlier this week, I was looking through All of Bach, an unfortunately horribly designed website for a musical group in the Netherlands attempting to perform all of J.S. Bach’s works, when I wondered what would happen if all that music wasn’t just music but also magical spells. And that was when the concept for the novel I’m doing for July’s Camp NaNoWriMo was born. 1. The Historical Time Line (1750-1871): This starts at J.S. 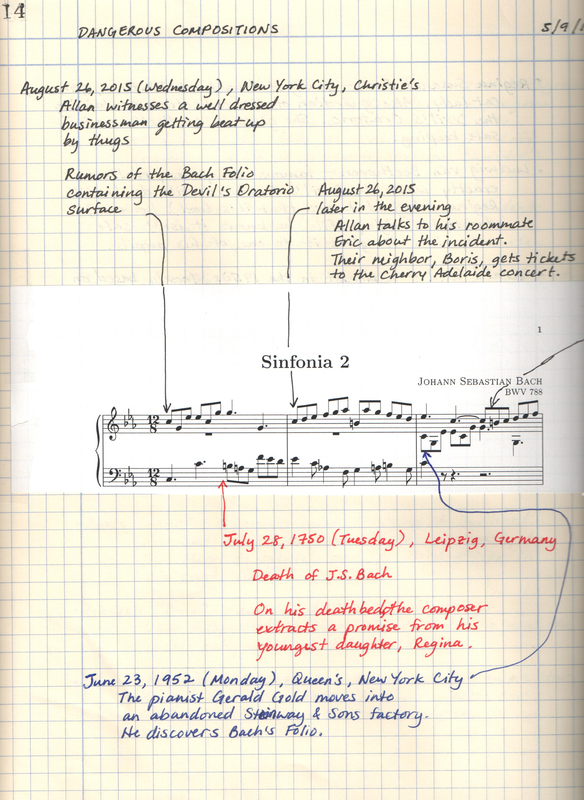 Bach’s death and ends just after the death of Heinrich Engelhard Steinweg, the founder of Steinway & Sons. I’m taking massive liberties with these historical figures, but I’m imagining them in a parallel fantastical universe where music is magic. 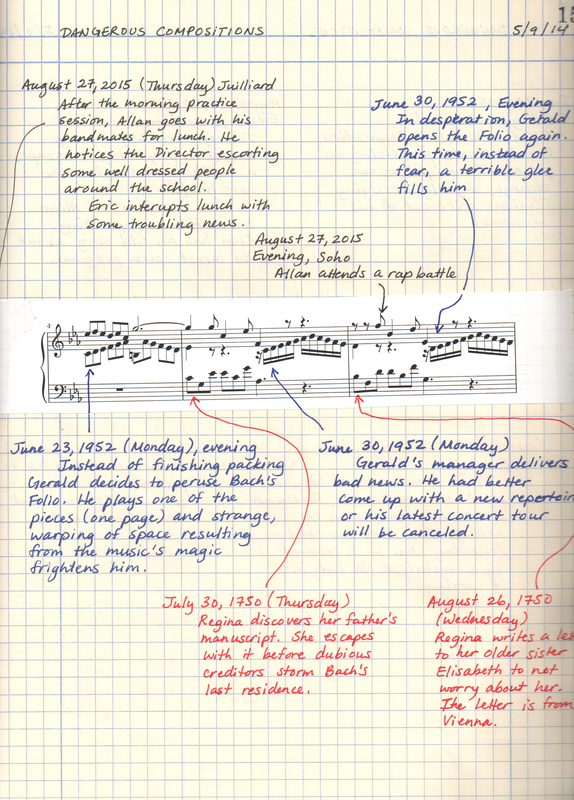 This time line details how Bach’s Folio, containing the fictional Devil’s Oratorio gets from Germany to New York. 2. Mid-Century New York Time Line: As the most focused of the time lines, this takes place entirely during 1952. It’s about a classical pianist, loosely inspired by Glenn Gould, who discovers the Folio in his new home (a former Steinway & Sons piano factory). He becomes obsessed with the Folio and slowly descends into madness. 3. The Present Time Line: Set in modern New York City, the protagonists are Juilliard students working on a project for their music history class. The main character is a jazz student who does moving work and rap contests for extra money. He hears rumors that the Folio was stolen from Christie’s before it could be auctioned. Meanwhile, he tries to figure out why one of his friends, a Jim Morrison fan, is suddenly interested in country music. With three time lines, it became natural to structure the outline around one of Bach’s three-part inventions. So, with the outline done, I’m off to read up on history, New York, and music in general. And after that, I’ll probably let the idea percolate in my head until July rolls around. It sounds incredibly complicated and absolutely fascinating. Good luck getting all that to come together. That sounds like a cool idea.